“I am the good Shepherd”, Jesus said. “The good Shepherd is one who lays down his life for his sheep. The hired man since he is not the shepherd, the sheep do not belong to him, abandons the sheep and runs away as soon as he sees a wolf coming. And then the wolf attacks and scatters the sheep. This is because he is only a hired man and has no concern for the sheep. I am the good Shepherd, “I know my own and my own know me, just as the Father knows me and I know the Father and I lay down my life for my sheep”. A nurse working in a hospital for children she was a sympathetic and loving person. In the hospital there was a little boy who had been badly burned. His legs had been destroyed and the hospital’s task was to rebuild his legs and give him the power of walking again. Though in a lot of pain he was a determined child and the nurse worked lovingly with him to help him to rebuild his strength. But the injuries done to the boy were very destructive. And so week after a week she had to teach him just to sit up. It was agony. Try as he might the child failed. He tried with all his strength but with little effect. After hours of willing his little body to obey him he would seem to always loose hope. She often found him in the morning in tears. Her words consoled him. He would try again. Finally he learned to pull himself into a sitting position. It was months before he was able to stand by the side of his cot and hold on to the protective rail. He would watch the other children run around the ward and simply long to be like them. His little legs refused to obey his will. One day, it was a marvel even to himself, the child hold on to the side of the cot and stood on his own strength. The nurse was delighted for him, every day she cajoled him, praised him and cried with him If only he could take an independent step to stand without holding on to a support. Time and time again the little boy tried. Often he was reduced the tears as he failed time and time again. . He would fall back and look at her with tears in his eyes. One day as if stepping on the moon the little boy let go of the support and took a step into the middle of his bed. He stood there wavering and then after a minute he fell back again on his back. But he had achieved something. The nurse saw in his eyes the light of victory. The child was so proud of the achievement of being able to stand alone again. The nurse cried with joy. The eyes of the child lit up with joy. She was thrilled for him. Just then she glanced at the television. On the screen was an Olympic champion receiving his Gold medal. The flags of his country were raised, the band played the anthem of his country, crowd stood to honor him, the Gold medal was placed on his neck, the whole world admired his moment of victory. “ I would not exchange the delight of my heart for the whole world of medals,” the nurse reflected for my seeing the joy in the eyes of this little boy”. I was a moment of heaven”. This story teaches us that there are greater joys than simple worldly success. Sportspersons, Politicians, Musicians have their moments of achievement. But there are greater joys in helping another person grow, in realizing that I am able to bring relief and joy and healing and hope into other peoples’ homes and hearts. These are our memories when we come to die. This is what Jesus showed us by his life of poverty. He showed us that that there are richer things in the world than wealth and power. This nurse discovered this nurse; this is what Francis of Assisi understood, he did not hate the world but he found where the real treasures are. He discovered where real human joy and fulfillment are to be found. We priests are called to be witnesses of deeper and spiritual virtues. We are called not to become rich but to point to people where real value lies. Real joy is found in a buried treasure wrapped with tolerance, patience, joy, and in creating happiness and goodness in the lives of others. Jesus too was searcher, a good Shepherd searching for the stray and the lost. His wealth, his happiness was in bringing back the lost sheep. Look at h is stories in Luke 15. Three times he shows us that Heaven is filled with joy at the discovery of the lost coin, the lost sheep and the lost son. Jesus gathers and protects. He knows and calls the sheep by name, he leads them to green pastures, he sets a table for them, He nourishes with his own life. 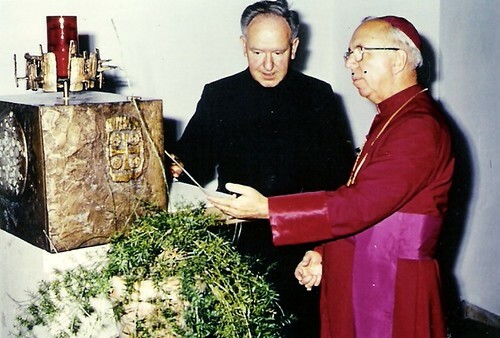 Pope John Paul in PDV 23 speaks about the work of the priest as that of Christ the Shepherd. 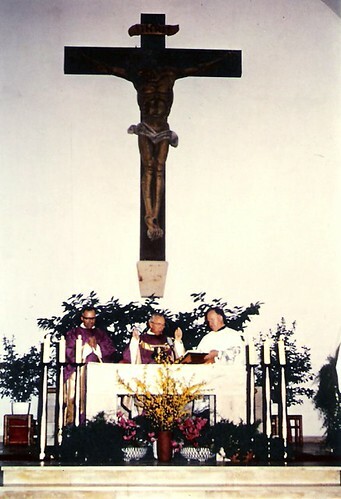 “The internal principle, the force which animates and guides the spiritual life of the priest in as much as he is configured to Christ the head and Shepherd is pastoral charity , as a participation in Jesus Christ own pastoral charity, a gift freely bestowed by the Holy Spirit and likewise a task and call which demands a free and committed response on the part of the priest. “The essential content of this pastoral charity is the gift of self, the total gift of self to the church , following the example of Christ. Pastoral charity is the virtue by which we imitate Christ in his self giving and service. It is not just what we do, but our gift of self which manifests Christ’s love for His flock. Pastoral charity determines a way of thinking and acting, a way of relating to people. It makes special demands on us” PDV 23. The pastoral charity of Jesus is seen in the healing work of his life . Of course, it is seen above all in that he gave his life for his friends. “There is no greater love than this that a man lay down his life for his friends”. We remember also the last great lesson Jesus gave His disciples. It was at the Last Supper. He was saying good bye to them. He wanted to imprint on their minds the essence of his teaching. To do this he performed his last great prophetic act. He took a towel and basin and did the work of a slave- kneeling at their feet washing their feet muddied by the dust of the road. And we also know Jesus gave us, as it were the contents of the final examination paper in Matthew 25 v 31 and following . It is the last judgment and people are judged on the love they had for the hungry, thirsty, the prisoner, the sick, and the needy. Charity then is not only the essence of priestly ministry is also the essence of Christianity. In fact, holiness is simply the perfection of charity-charity arising from faith. 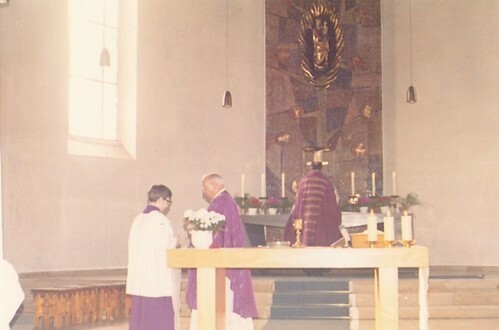 It is true that in the church, the liturgy uses has many sacred signs, incense , candles, vestments, pictures, altars, crucifixes, churches uniforms of all kind, medals. These are helpful signs to bring home to us the holiness of the spiritual. But however the real sign of Christianity is in charity and we priests must show this. By this shall all men know my disciples by the love they have for one another. In the gospel passage we read today from John Chapter 10 we saw Jesus contrast the good shepherd and the hired servant. Here is an example of the good shepherd. Daphne Shabalala was born at Rosboom outside Ladysmith in 1930. She was a Methodist and as a young girl she contacted TB. She almost died but she spent a year in hospital recovering. Daphne Shabalala was a very spiritual prayerful girl. She was also intelligent and she got the opportunity of studying at Adams Collage in Amanzimtoti for a teacher’s certificate . She was appointed to a rural school outside Escourt in Natal. There she taught poor children from the farms. One day Daphne Shabalala ate her lunch as the children played outside. There remained from her lunch some crusts of bread and one or two small sandwiches. She left them on the table and went out to watch the children play. Returning to the classroom she found a little boy taking the crusts of bread and sandwiches. He was sharing them with his little sister. Daphne challenged the little boy about taking the sandwich without permission. The child relied; “We are hungry. Everyday we walk to school a long distance. We are too weak to learn, we thought that you had finished your lunch”. Daphne Shabalala understood. With help from friends she started a vegetable garden around the school to make soup and collect bread so that the children had at least one meal each day. Daphne had great success and gathered together shopkeepers and developers to set up KUPUGANI. Kupugani was a feeding scheme for children. At its highest it was feeding 700,000 children everyday. Here is the example of a good shepherd. Near us in Kokstad there is a school. I see the children hiking lifts each morning to school. It is 30km away and it is a great struggle for the children to get to school each day. Last year 112 children wrote their Matric. Of these twelve passed, the rest failed. They failed because the teacher who was supposed to teach Maths and Science never appeared in school from March until the end of the year. He totally neglected the children. The principal did not act and so children who were so keen to pass, who did well in the other subjects failed the matric. Here is an example of the hired servant of which Jesus spoke who runs away at the moment of difficulty. Now we meet people in all professions who are either good shepherds or hired servants. You find them in the hospitals amongst nurses , we all know many people die in hospital, because of neglect. Many people, on the other hand, come from hospital much recovered because of the care and the professional love of the medical staff. The same applies unfortunately to the priesthood. There are priests who are good shepherds, who are always there, who love their people and they are hired servants who focus the whole meaning of the priesthood on their own comfort. I remember an explorer inviting people to come trek to the South Pole. This involved hundreds of miles of extremely difficult conditions, walking in extremely cold temperatures, carrying a large weight of food and supplies for three months. He advertised for men who were willing to do more than their share. In the priesthood we should surely expect the same. Jesus died for His sheep. We must expect of priests that they be willing to do more than their share, more than that laid down in the Canon Law Book. the use of money and cars, we have status in society, we are our own boss for a large part of the week. If we fail many will suffer. People depend on us, we have to be sensitive to them. Recently a young priest told me that when he went to the seminary he had a friend there from his own diocese. His friend left the seminary and they did not meet each other for many years. The young seminarian became a priest and is now very active in his diocese. Later his old friend contacted him and they spoke often on the phone. One day when the priest was busy his friend phoned him and said, “I must speak with you”. As the priest was busy he said; “It is absolutely impossible for me to have time to go and meet you now”. The following day the young priest read in the newspaper how his friend had committed suicide. This young priest was not responsible. But you can see how sensitive sometimes the situations in which we find ourselves. Yes we have responsibility and we must exercise it faithfully. We know things about people, we must have confidentiality, we are dealing with the moneys of people and this involves justice otherwise there’ll be chaos. We meet women, must respect them, no matter what. I remember a prisoner who was in jail. An old priest used to visit him frequently. The old priest died and I told the prisoner that his friend had died. The prisoner said to me, “He was the only Christ I ever knew”. You are the only Christ many people, especially the youth, will ever see. 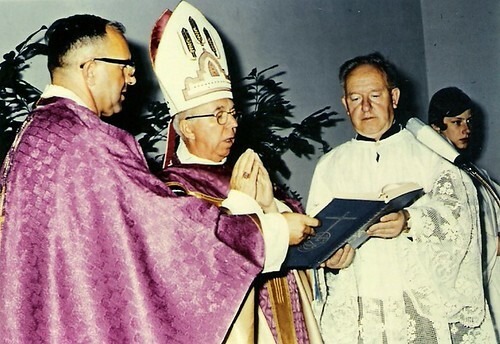 The priest plays a key function in the pastoral life of the Church. At Khanya House time and time again we speak with all the agencies and witness the programs they are trying to implement. Time and time again they say that the greatest difficulty is the priest in the parish. Even catechetical programs to bring faith to our children and to youth encounter their greatest difficulty in the lack of support and the positive obstructionism of some priests. 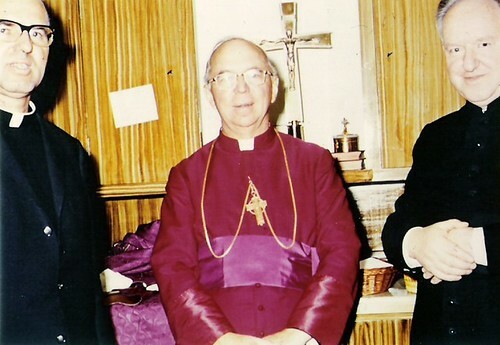 The unity of the church and of the parish depends upon the priest, the morale of a parish comes from the priest. So then let us today look at those who are left at our mercy, the youth , the sick , the catechetics and the bereaved. We must be there. To examine ourselves on our pastoral charity let us compare ourselves to someone we know very well, our mothers. Do we love our people as much as our mothers loved us. I remember on my visit to my home in Ireland.. My youngest sister was not married at that time although she was now teaching in school. Frequently my mother told my sister that she must get married. My young sister thought this was very funny. But my mother was serious. One day my mother said to me, “You speak to her, she must get married.” I told my mother to be patient that she would get married, she would know herself what is best. My mother explained, she pointed out that I are out in Africa. I come home on holidays. My mother said that she herself was getting old. “One day you will come here and you will find that I am gone. It want your sister to have a nice home, a nice husband and children and home where you will be welcome and you will be always able to stay”. Here is an example of a mother’s love. This is what mothers are like. And this is what priests must be like. Responsibility involves the use of money. Many bishops regard the quarterly financial returns to be just fiction. Again priest must be careful not to fight with people especially with the catechists and the religious in a parish. Why do many priests begin their ministry by having a row with the leaders in the parish and with the sisters. And remember the sisters are always at home , they are always talking with the people, they are telling the people what kind of a person you are. We must select our enemies very carefully. Responsibility also involves preparing sermons and performing the liturgy with great respect. Above all the priest must realize that he is called to work with the laity and not against them. We work with them. It is true that the priest has a unique voice in the decisions of a parish but the wise priest listens to the laity. Most of the best ideas will come from them. We fail in our priesthood if we are aggressive, if we are authoritarian, if we are rough in language and behaviour. People are poor, vulnerable, they have great respect for the priest and so if the priest is harsh with them they are very hurt. If a priest is good and kind people will forgive him many weaknesses he may have. I remember a bishop in Uganda who had been a Rector in a seminary in Northern Uganda during the War. He described that in the seminary the soldiers were everyday shooting up and down the corridors, chasing each other and killing each other. He said it was a terrible time. He said, “I learned something then- that if we love our people then we will never be hungry.” People will care for us. The people love their priests. Bishops know that moving a priest can be a very difficult task. People are very attached to the priests and regard it as a great cruelty if the priest is moved from their parish. A little girl used to sit in her mothers arms each day. She that her mother’s arms were scared and disfigured. One day the child said; “Mother your arms are ugly”. The mother explained; “When you were a child one day you were in the bed asleep. I was working in the kitchen. The candle set fire to the blankets and suddenly I saw a great fire around your bed. I ran in to save you, I put my arms through the fire to lift you out , and that is why my arms are scared.” The child looked at her mother for a long time, and said; “Mother your arms are beautiful”. We priests have our weaknesses but if we have charity, then the people will tell us that our arms are beautiful.